"I love this gift. Great selection — I couldn't have picked better beers myself." Treat yourself or someone special to great taste month after month by joining our Craft Beer of the Month Club. We offer the Best Beer Club of the Month subscription in America to our customers by hand-selecting microbrewed beer from across the nation. Each beer club monthly shipment contains a 12-pack with 4 different types of rare, craft beer— fresh from two different small American craft breweries. Four varieties each month: Ales, Lagers, Bocks, IPAs, Stouts, Porters and more! Flexible subscription options. Cancel anytime. Plus: Free Shipping. Every Gift. Always. For more than 24 years we have been delivering great tasting, high-quality microbrewed craft beer to our Beer of the Month Club members from breweries across America. Our Beer of the Month Club has delivered millions of packages to happy customers over the many years we have been in business. You also don’t have to worry if the quality isn’t what you expected; all of our packages are backed with a 100% satisfaction guarantee. We only ship the best of the best beer here! Each month we feature fresh and unique craft beer from two or three breweries that are focused on the highest quality of beer. Our Beer of the Month Club members receive monthly beer shipments delivered straight to their door. Each month, the recipient will receive 12 rare craft beers with 4 different varieties in each shipment. Each month we send out a variety of craft beer styles including Ales, IPAs, Stouts, Porters, Lagers, Bocks, and more! Our Beer of the Month Club also doesn’t skimp on size so we’re sending you 12 full-sized 12-ounce beers that will treat you or someone special to great tasting beer all month long. Not only are you receiving the best beer but you will also receive a FREE Beer Expeditions monthly newsletter subscription where we’ll give you great information on the fresh beer you received this month for your Beer of the Month Club subscription as well information on the featured breweries. Also, don’t forget to read up on our tips and tricks to enjoy your beer. This is all offered to you with FREE shipping each month for our Beer of the Month Club as well as any other monthly club we offer. We offer our Beer of the Month Club members the chance to customize the length of their fresh beer monthly shipments as well. We offer two-month subscriptions, while also offering three, four, six, and twelve-month beer subscriptions. We offer you the ability to get beer shipments monthly, every other month, or every three months. Adding to our user-friendly customization, we allow payments to be made monthly or in full if you wish. 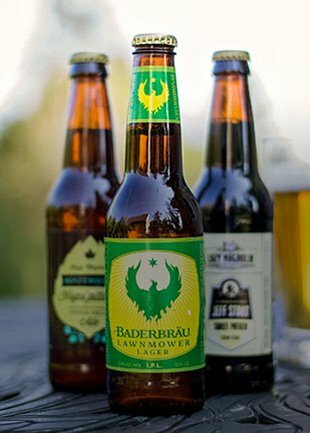 All of our featured microbrews for our Beer of the Month Club are traditionally brewed from only all natural ingredients: barley, hops, yeast and water. Absolutely NO chemicals, corn, rice or preservatives are used in these beers. Only the best beer is hand-selected for our members of the Beer Club! Don’t forget to check out our Beer Club Blog for updated content related to the best beer club in America! No. All the beer is pre-selected for you by an expert tasting panel. Each beer is carefully judged and approved by our tasting panel. Once you are a member, you can reorder a list of past selections at discounted prices. Do you feature craft beer in cans in addition to bottles? Yes, up to 3x a year we will feature our beers in 12oz. cans. Only featuring breweries in bottles would reduce our ability from featuring some of America’s top rated breweries and beers that package in cans. There are so many craft breweries nationwide packaging their beer in cans than ever before. 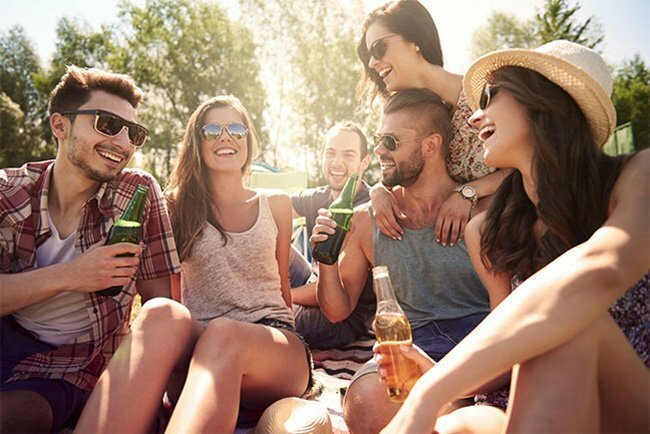 Cans have many advantages over bottles with beer, such as, being more eco-friendly, more portable, lighter and cans are allowed in many more places such as, beaches, poolside, lakes, parks, and many outdoor events. Cans are also the ultimate protection for beer because they are both lightproof and airtight so cans it will keep your beer fresher longer and preserve flavors better. Also, with today’s cans there are no metallic flavors because of a lining inside the can which completely protects the beer. To prevent breakage we package the beer in special packaging to ensure safe, fresh deliveries. We deliver the beer through our network via common carriers. We prefer a daytime office address to ensure timely delivery. You must be 21 or older to receive a shipment of beer. An Adult signature over 21 is required. All beer is brewed fresh for our members by small American microbreweries in the U.S. Past selections include: Great Divide’s Denver Pale Ale, Local Color’s Smooth Talker Pilsner, Butte Creek’s Winter Ale, Snake River’s Lager, Pony Express’ 75th Street Brown Ale, Rock Creek’s Devil’s elbow India Pale Ale, Coast Range’s California Blonde Ale, Rockies’ Amber Ale, and many more. What does “microbrewed” craft beer mean? 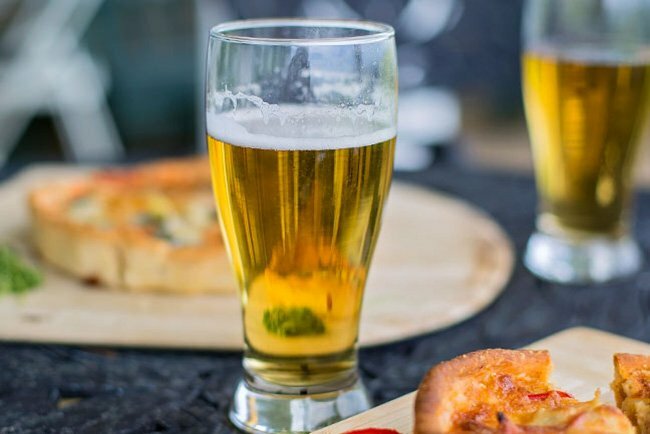 These are specialty beers with more flavor than the mass-produced alternative. They are made in very small quantities and only available in the local town where they are brewed. They are all-natural and contain no additives or preservatives. Each month you receive a 12-pack of four (4) different types of fresh microbrewed beer in 12-ounce bottles (and up to 3x a year cans). You will also receive our club newsletter “Beer Expeditions.” You will receive your shipment by the 3rd or 4th week of each month. All over the United States from small American craft breweries. Each batch we feature is freshly brewed for our members. Why should I choose your Beer of the Month Club? When you decide to place a Beer Club order with us at Clubs of America, you are dealing with a company that has been doing this service since 1994 with over 3 million shipments. We are the most experienced company in the club business and we are committed to the highest quality products and service for our customers. You can check out Better Business Bureau reports by searching Clubs of America and you will see that we have earned an incredible reputation. Your 100% satisfaction is everything to us and will stand behind everything we ship to you or your gift recipients. Only $42.95 Per Month with Free Shipping!